← Is there an Industry or Microsoft definition for Hyperscalability? At best, these tools and methods can enable or aid in the creation of increased business value. This is actually pretty simple (in hindsight). 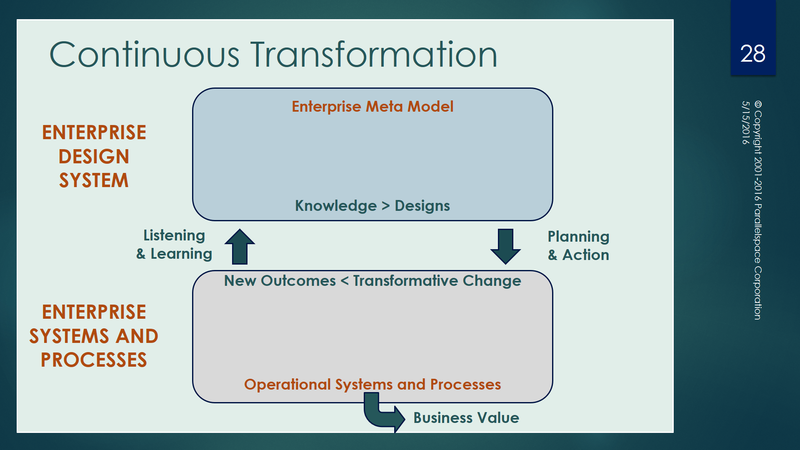 Real business value is only realized when an organization’s operational strategies, systems, assets, and processes experience measurable, positive Transformative Change – whether enabled by the use of a particular tool or method; or not. 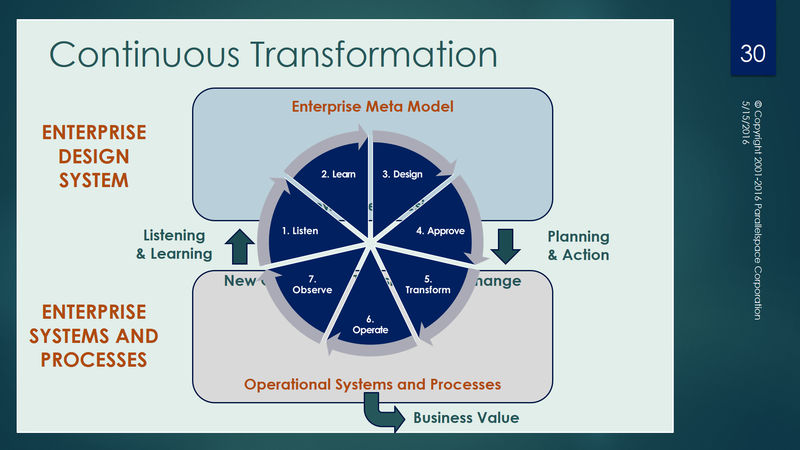 Here is some additional information on the ModelMate Continuous Transformation Framework as well as where and how business value is created. 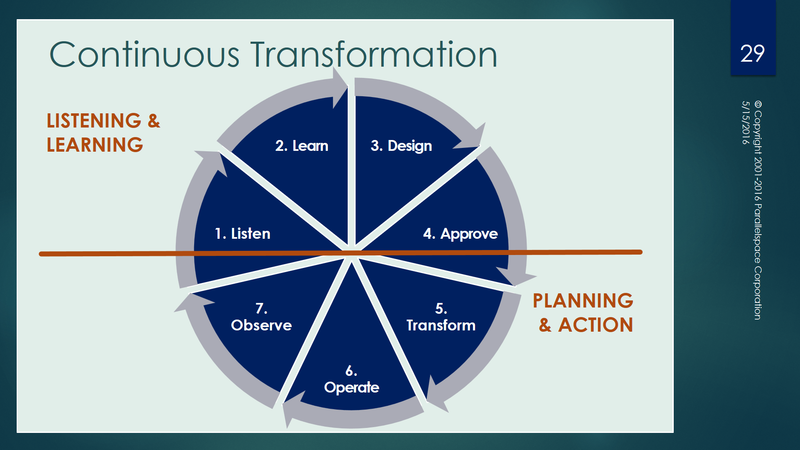 Here’s a more recent elaboration on the Continuous Transformation Framework described above. 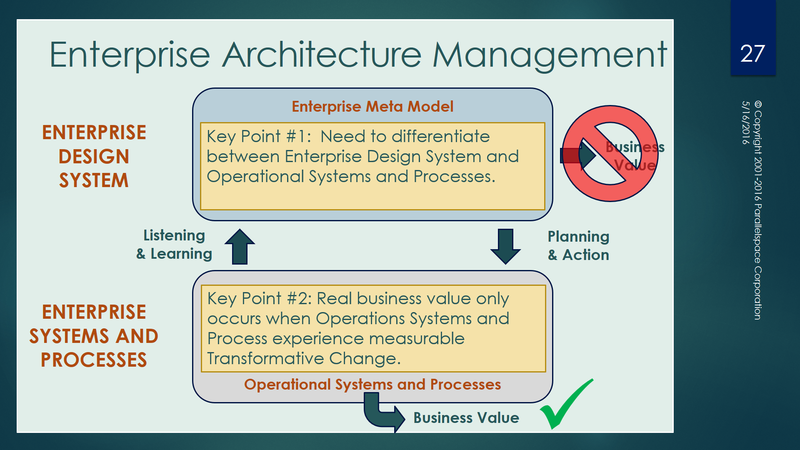 The articles below go further to identify and define the gap that exists between the enterprise architecture reference model for the organization and the organization’s operational systems, assets and processes as the Enterprise Architecture Chasm. (Similarly, there is a gap between the strategy and reality is called the Strategy Chasm). Facilitating change has bussiness value. Just because we dont cost it doesnt mean it does not have business value. Infact I cannot see anywhere in your article how your measuring bussiness value. I can understand if you meant direct bussiness value is missing. What is the value in the political structure of a country in running the politics of a country nothing? Then why do we have it…. This is serious topic of discussion and lot of positives and negatives in it.